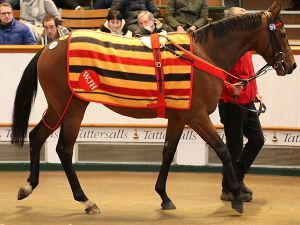 The 2,000 Guineas and Derby prospect WILLIE JOHN became the highest priced colt in training ever sold in Europe at public auction when knocked down to Roger Varian for 1,900,000 guineas on the second day of the Tattersalls February Sale. 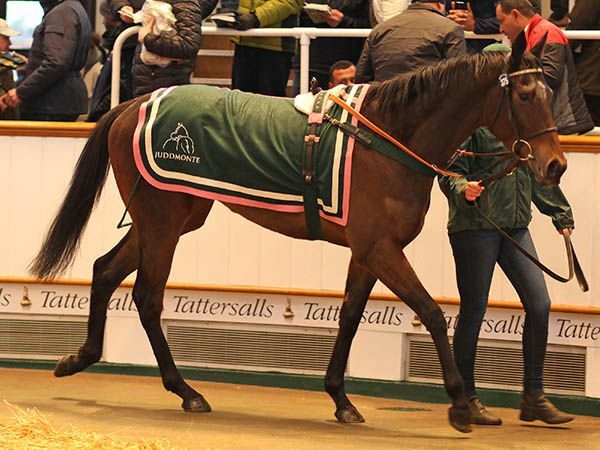 The result pushed turnover for the sale into record territory for the fourth year in succession, with the 299 lots sold realising a total of 8,037,150 guineas, up 40% on last year. The average of 26,880 guineas was also a record whilst the median came in at 7,000 guineas. WILLIE JOHN had impressed many with his victory on debut at Yarmouth and with a pedigree to drool over and Classic dreams very alive, it was no surprise to see the Tattersalls ring swell with potential suitors. Oliver St Lawrence kicked off the bidding at 200,000 guineas and with trainer Ed Dunlop, the pair traded blows, taking the price towards seven figures. Newsells Park Stud’s Julian Dollar soon joined the fray along with agents Anthony Stroud, Hugo Lascelles and Ed Sackville as the price raced past 1,000,000 guineas. Cheveley Park Stud’s Chris Richardson soon joined in the battle to secure the colt as did trainer Roger Varian with the latter proving successful at 1,900,000 guineas. "He is for Sheikh Mohammed Obaid," said Varian. "He already has a Dubawi from the family and he identified this colt as one that he would like - we were very happy to do the steering. "Willie John was an impressive winner of his maiden at Yarmouth and those autumn maidens at the track can be very strong races. "It is not often you get the chance to buy a horse such as this, it is unusual circumstances, but we look forward to getting him home and getting to know him - he is a very promising horse with a great pedigree." WILLIE JOHN is by DANSILI out of the dual Group 1 winner IZZI TOP and from the Meon Valley family of ZEE ZEE TOP, KAYF TARA, OPERA HOUSE and NECKLACE. He was purchased at Book 1 of the 2016 October Yearling Sale for 325,000 guineas and raced for the China Horse Club and Markus Jooste. 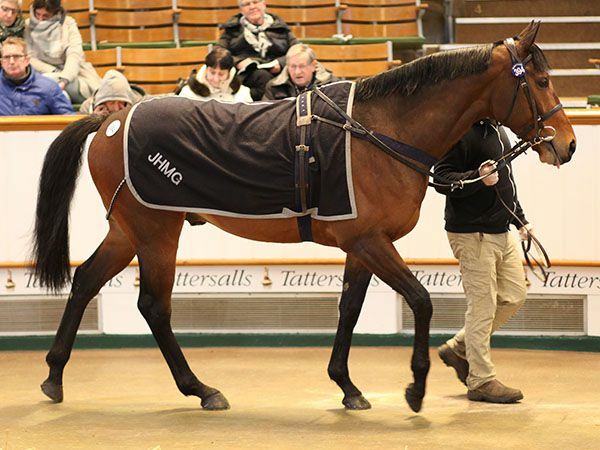 He was consigned to the February Sale by William Haggas’ Somerville Lodge. The colt from the family already in Sheikh Mohammed Obaid's ownership is the two-year-old DUBAWI half-brother to WILLIE JOHN, bought by Varian at Book 1 of the Tattersalls October Yearling Sale for 2.6 million guineas. Fillies from Juddmonte Farms are always highly sought after and it was no surprise to see the draft from the historic nursery fill three of the next four spots in the top prices list on the second day. Headlining those was the DANSILI three-year-old RELENT who was knocked down to Cathy Grassick for 220,000 guineas after she saw off Cheveley Park Stud’s Chris Richardson. The half-sister to the Grade 2 winner PROJECTED also features last year’s Champion European filly ENABLE in her pedigree and was purchased by Grassick on behalf of Yvonne Jacques. "We were underbidders on yesterday's Galileo filly," said Grassick, "but are delighted to have bought this Dansili filly - she has the pedigree and the looks. "She is for Yvonne's new farm and venture Carisbrooke Stud, the former Raffin Stud," added Grassick. "Yvonne is looking to have a band of around 15-20 top class broodmares, and the farm is being managed by Joe Grimwade." Cheveley Park Stud were busy sourcing potential mates for their recently acquired stallion ULYSSES and they added the Juddmonte fillies FELLBECK and GUELTA for 100,000 guineas and 75,000 guineas respectively on the second day. The CACIQUE mare FELLBECK is a half-sister to the Group 1 July Cup runner-up MAIN AIM as well as Group 2 winner WEIGHTLESS, whilst the OASIS DREAM filly GUELTA is out of CANADA WATER, the own-sister to Prix de l’Arc de Triomphe winner RAIL LINK, who sold for 110,000 guineas yesterday. The other horse to realise 100,000 guineas or more was the John Gosden-trained ZENON who was bought by Harold Kirk and Willie Mullins for 120,000 guineas. The 96-rated son of GALILEO is out of the Indian Champion filly JACQUELINE and raced for her breeders Khushroo Dhunjibhoy, Vijay Shirke and Berjis Desai. "He is a strong stayer," said Kirk. "He will be gelded, have a short break and will then go hurdling. He will return to the Flat in the summer for a staying campaign. "We have been lucky buying from John Gosden before - both Nicholls Canyon and Thomas Hobson came from Clarehaven." “Last year’s Tattersalls February Sale reached unprecedented levels for this fixture with turnover of more than double the record 2016 sale and an average price up 56%, so to surpass those figures is another phenomenal achievement, especially with a smaller catalogue. “The obvious highlight was the 1.9 million guineas sale of the outstanding Classic prospect WILLIE JOHN and it is a wonderful endorsement of the February Sale that, although one of our newer and smaller sales, it now holds the distinction of producing the highest priced colt in training ever sold at public auction in Europe. WILLIE JOHN is a colt of enormous potential, from an outstanding Meon Valley family, and the number of bidders above the million guineas mark shows the sustained demand for the very best European bloodstock that is very much the hallmark of sales at Tattersalls. 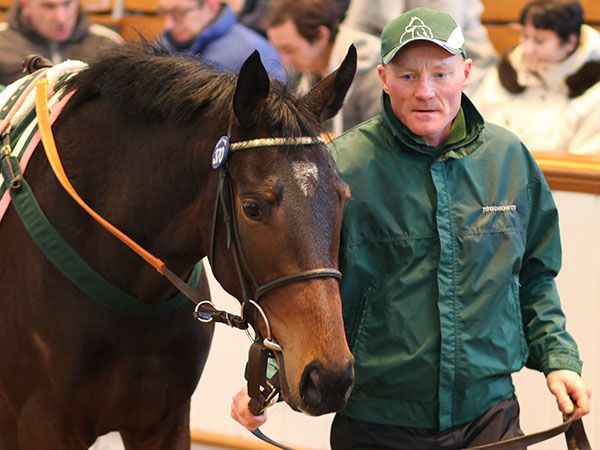 “The 500,000 guineas previous record price for the February Sale has been surpassed four times in the past two days, demonstrating beyond any doubt that the February Sale is a sale which consistently produces optimum prices for quality thoroughbreds, while at the same time serving as a perfect seasonal outlet for stock at all levels of the market. As ever, the international demand has been a feature of the sale and in addition to strong European participation, buyers from throughout the Gulf region, America, Hong Kong, Japan and South Africa have all made a significant contribution to a record breaking start to 2018 at Tattersalls." The next sale at Tattersalls is the Craven Breeze Up Sale that takes place from April 16 – 18.